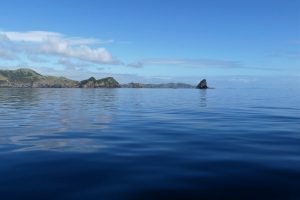 Starting Tuesday 23 at 1pm, we now have completed the first day on the passage to NZ. The mermaids first night watches were uneventful. This morning the autopilot went on strike. Uuups! While the cocaptain is steering, the skipper fixes the machine (worn out brushes). Next the hydrogenerator is attacked and its fin is hanging loose. Skipper fixes even that one. Good to have a engineer-skipper. The sun is shining and 20 knots beamreach for the rest of the day. 110 Nm to sail to Minerva reef. Another uneventful night with little less wind an in the day. Att 7 am Carpe Mare enters Minerva reef. 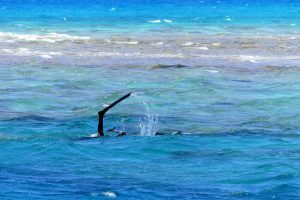 This is a small circular reef out in nowhere. It’s nice to take a little break and enjoy the boat being flat, not bouncing around. 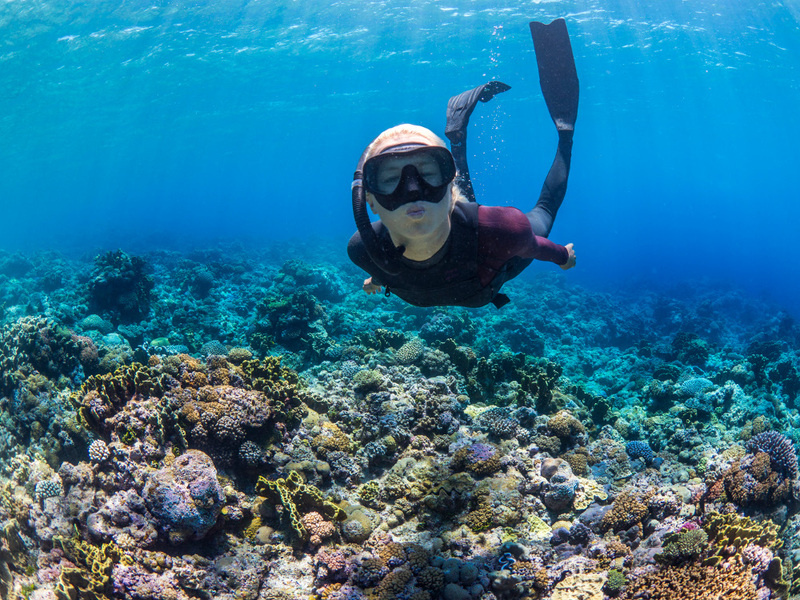 The mermaids have allready explored part of the reef by snorkel, of course. Now we wait for our weather guru to tell us when to continue. In the meantime the skipper repairs some details in the sails and the cocaptain digs out her warmest jumpers and woollen underwear for the rest of this passage. Anchoring in north Minerva reef is quite special. 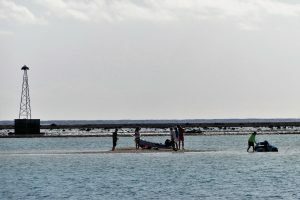 The reef shows up about a meter over the surface at low tide, at high tide there are only braking waves indicating the reef. It can’t have been easy to sail in this waters in former times without GPS and proper charts. Our weather guru said that Monday is a good day to continue but the forecast is changing all the time so we are not sure if this will be the window for us. Skipper Anders is studying different routes in the computer trying to find a good way thru. Sun is shining, the water is turquoise and lots of food onbord so there is no rush. 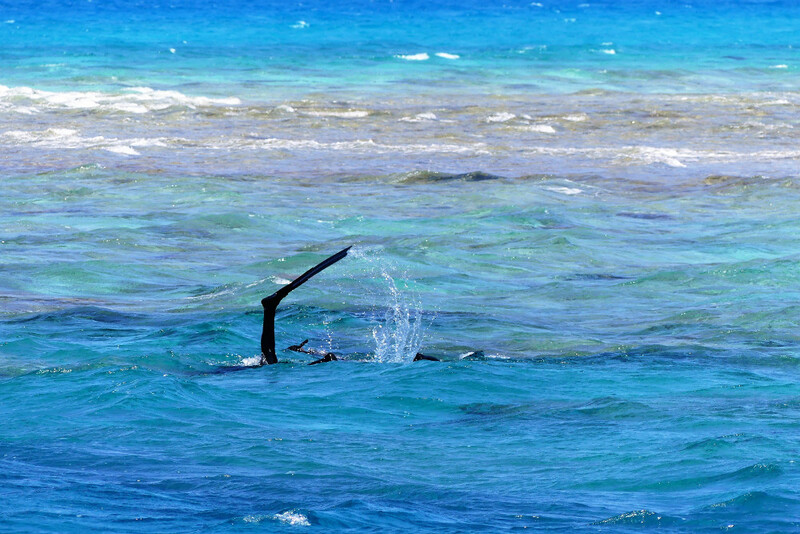 Day 4We awoke this morning in Minerva reef to a beautiful sunny day.. Unfortunately, the coming forecast wasn’t exactly telling us what we wanted to hear.. leaving all the crew feeling a little frustrated and more than a little impatient to reach New Zealand.. So instead of leaving Minerva reef on Monday as we had hoped, it looks like we will be hanging around for a few more days with the potential to set sail Wednesday or Thursday. But a skinny dip in the clear blue sea and a bask in the sunshine soon made us realise there are surely much worse places to be ”stuck”. 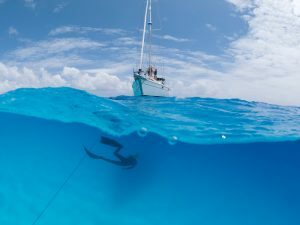 We decided to pull anchor and shift the boat to a better position on the opposite side of the atoll for the changing breeze.. but first, a drift snorkel in the pass… Lots of deep channels, swim throughs, beautiful coral and so many curious sharks! A real treat for the mermaids! 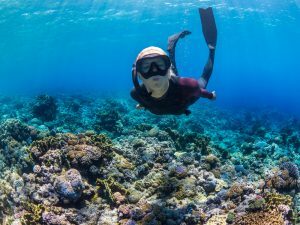 One more afternoon snorkel around our new anchorage site, exploring a couple of shallow wrecks and checking out all the colourful marine life.. in one particular bombie we came across a giant brown Moray eel as round as a football and who knows how long! I can smell Katharina’s lasagne cooking as I write and, needless to say, we have worked up quite the appetite! Well, still in Minerva looking at the weather….looking at forcasts….looking att routes. When to leave? Which way to go? So many decisions to make. Now it,s 10 boats here in northern Minerva and att least one in southern Minerva doing the same as we. Daily discussions on the VHF lighten the day up. 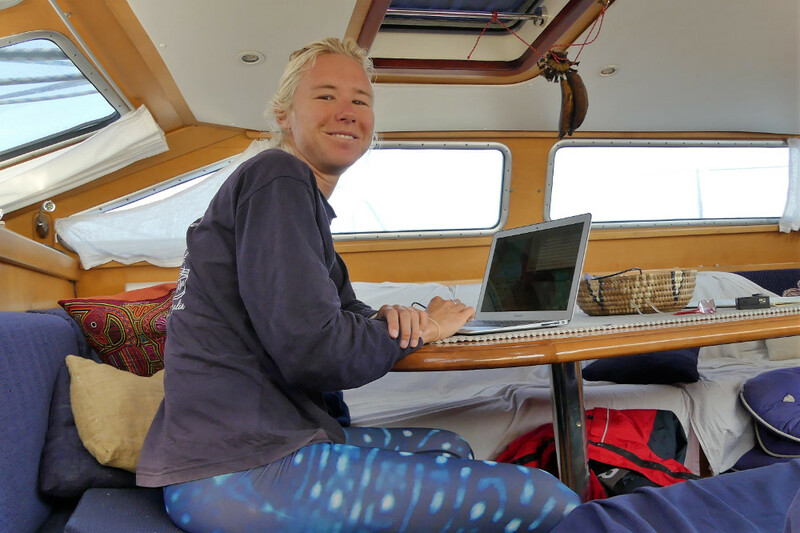 The mermaids are on another snorkeladventure on the boat neighbour Eleuthra. Good entertainment for all of them I guess. I am glad that this day is reaching an end. It has been the most intimidating day in our cruising life. What happened? Yesterday we decided to leave Minerva the next day and the skipper just wanted to check the engineoil as the normal routine for Carpe Mare ahaed of a passage. What he found made him become pale. Water in the engine oil….in Minerva reef. Where does it come from? The impeller had been changed in Tongatapu. Could there be a context? The impeller pump is dismantled. It seems healthy and not leaking. What’s next? The oil cooling system could be a problem. It has been repaired 2005….hmmm. That sounds suspicious. Even this part is dismantled. And you have to know that it this one is not easy to reach… When finally dismantled it seams to be healthy and sound as well. HELL! What is the problem då då? 11 o clock pm the fixing skipper and his assistent are very tired and very, very frustrated and are trying to go to bed. Some hours later the skipper has a hallelujah moment. The water has come in from the exhaust system on the really bumpy ride from Tongatapu. Ok! That means t hat all dismantled parts has to be put in place again next morning. 6 AM the team is working again. By 9 AM both the impeller pump and the oil cooler are in place again and the skipper is sweaty and oily. New oil pours in the engine. When fired up, the engine just vomits all the new oil out througbad gasket. 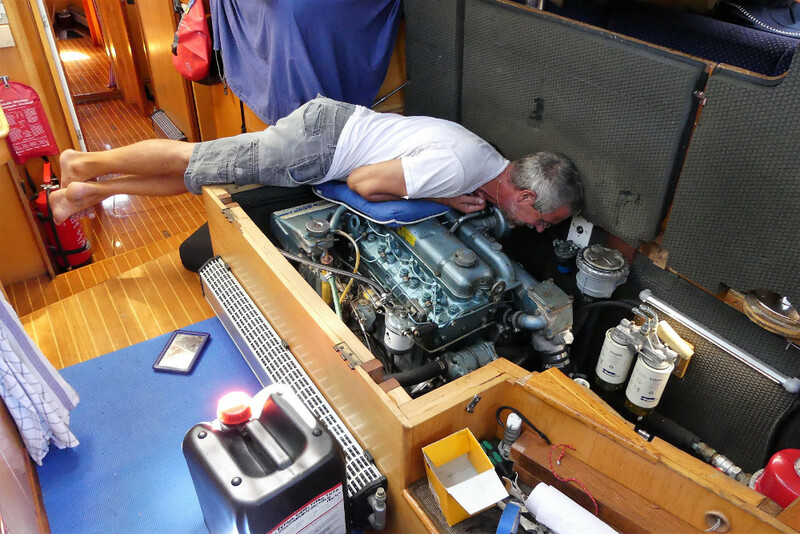 10 liters of engine oil h a in the bilge…. OMG! Ok! Just start all over again. Dismantle the oil cooler again, find the old piece of gasket, take it of, make a new gasket that fits and mount the hole thing one more time. All of this is done hanging head down behind the engine in a very tiny compartment. This time the fixing skipper is very, very methodical. All mounted parts are examined twice. Finally the LAST new and sound oil is poured into the engine. Fingers crossed! The engine started up….no leak…looking good….no oil alarm light lit up…Fingers crossed and thumbs held tightly. Yes! The engine works and seams healthy. Thankfully we found this issue sooner rather than later, it truely would have been even more of a nightmare if we had found this problem while halfway down to New Zealand! Now that we have had some time to reflect and look at the coming weather, it looks as though if the forecast stays consistent, Carpe Mare will set sail for NZ on wednesday. 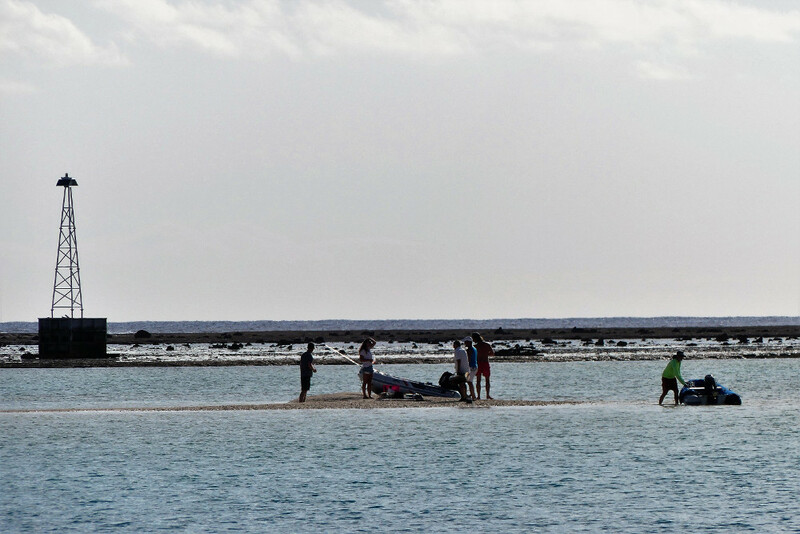 Yesterday some other crews invited all boats in the atoll to a potluck on the little sandspitt that shows up at low tide. They had been catching a couple of parrot fish to put on the grill. It evolves to a very nice and social evening with delicious food and lots of new friends. Today at 10 am Carpe Mare left Minerva reef. It’s upwind and quite ruff but the wind is expected to ease down under the evening. The course is heading west, just now a little northwest, but even the windangel should change to our advantage soon. I noticed that I was confused about the amount of days on this passage. Day 9 is right. 2 days from Tonga to Minerva, 6 days in Minerva and now in to day 2 from Minerva to NZ. A long time…. Yesterday was ruff and bumpy. From midnight Mr Perkins, the engine worked and since a couple of hours the sails do the job again. 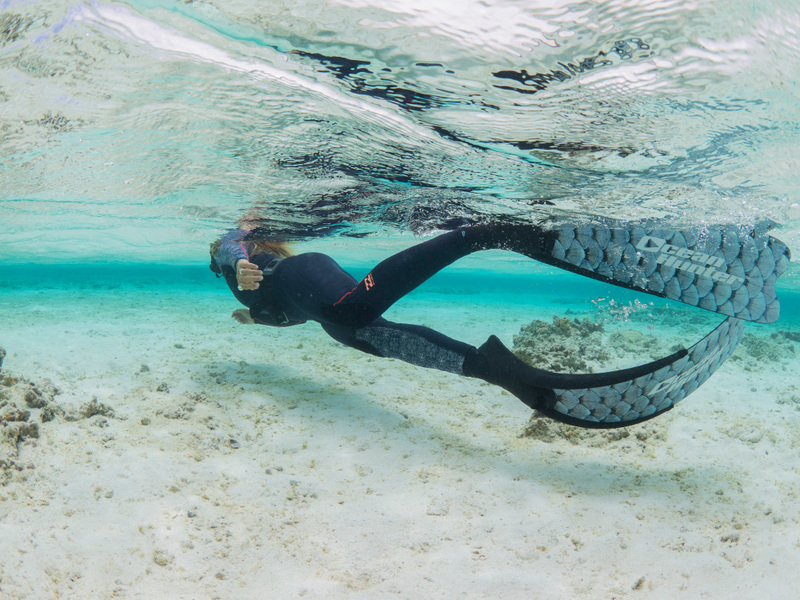 The mermaids are getting into the watches and life starts to settle in passage mode. …and into day 3 from Minerva to NZ. Motorsailing with headwind through the night was calm but very slow. Today we meet our weather front on the way down to NZ. 20 knots sustained and 28 in the gusts. Not so calm. The sun is shining and carpe mare makes good speed. Everybody has got a wave-shower while on watch but they are used to get wet so no worries. This was quite exhausting 18 hours. Three plus meter short swell, 20 -28 knots of headwind. Water spraying all over the boat showing all unknown small leaks. Crashing down in the wave trough with a loud bang. Preparing food is an acrobatic task. Not much sleep in this conditions. Tara is our splash-wave-pro, attracting this big nasty breaking waves that jump into the cockpit. Now everybody has slept out, eaten a good meal and most of the saltwater leaks are cleaned up. Sun is shining and the engine does it’s work. An experience richer. About midday the wind eases out and Mr Perkins goes to work again. Even the sea is flattening a lot so motoring through the night is calm and nice. Everybody has a good night sleep. The water temperature is down to 18 ° and the warm blankets are in use. Today there is a birthday to celebrate. Banana pancakes with a candle on top for breakfast and some serious happy birthday singing plus a blue sky with nice halfwind sailing is what Carpe Mare can provide. Good enough. Happy 27th birthday Ruby! 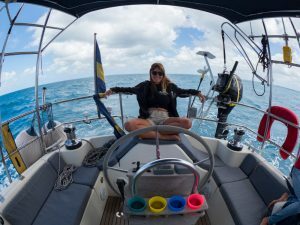 408 Nm to Opua. Motorsailing in the afternoon and motoring since nightfall. The sea is calming down little by little. Just now it looks like Carpe Mare could reach the Q dock in Opua before 4pm so that customs can be cleared the same day. Fingers crossed that no current will claim the precious minutes. Workout in the cockpit is keeping us warm. It’s 14° in the water and the air is crisp. One more night watch…. One last night motoring under a starry sky and in nearly flat water. The crew are sleeping like babies. 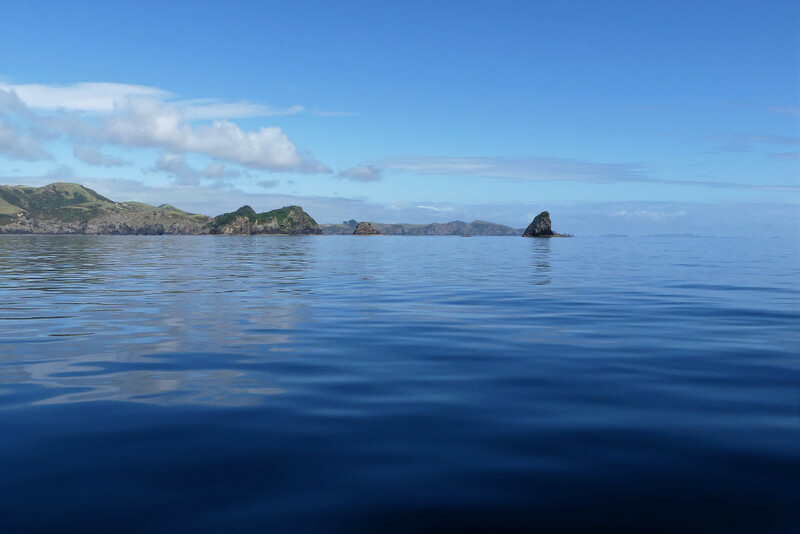 NZ greets us with blue skies and glassy water. Just now Carpe Mare is docked at the quarantine dock in Opua waiting for the official to finish their lunch. Yahoooo we made it to New Zealand!! !